Betsson.com is a virtual gaming casino which was created in 2002. It is owned by Betsson AB which is listed on the NASDAQ OMX marking its status as a key player within the online betting industry. The online casino is regulated by regulated in Malta by Malta’s Lotteries and Gaming Authority which ensures the due diligence of the casino under its jurisdiction. Betsson.com is dedicated to providing players with an unparalleled gaming experience and aims to achieve this by innovating and adapting gaming and technological trends. Betsson.com’s boasts an impressive and state of the art games collection which is divided into six main categories: The sports betting section, the casino, live casino, scratchcards, bingo and general games. It is powered by software created by Microgaming which is renowned for its innovation and expertise in providing casino games and is the provider of more than 600 games of various categories in the online gaming industry. All games come in instant and downloadable versions. Examples of what clients may look forward to are live casino games with real professional dealers, slots with various themes drawn from movies, comics and popular culture as well as classic casino games such as Blackjack, Roulette, Baccarat, Sic Bo, Craps and Poker. Betsson.com offers a 100% bonus to newcomers. Players also get to enjoy daily promotions which correspond to each day of the week: Monday spins, Cashback Tuesday, Free Spin Wednesday, Win Win Thursday, Top up Friday and Jackpot Weekends. These promotions are held at specific times and players wishing to participate must verify the schedule times on the casino’s website. Betsson.com is regulated by regulated by Malta’s Lotteries and Gaming Authority in accordance with its reputation as being a genuine online betting establishment dedicated to providing clients with a safe gaming environment. It upholds the statues of the regulatory body and adheres to its strict code of conduct at all times. Player confidence is central to the success of all online betting establishments due to the nature of information required as part of the registration and gaming process which include financial and personal data. Betsson.com prides itself on its dedication to maintaining the confidence of its clients ensuring that their experience on its website is pleasurable and free from worry. The means by which the virtual casino has achieved this is by being PCI Compliant i.e. implementing the highest safety standards of security for payments, withdrawals and deposits. In addition, Betsson’s website is encrypted by VeriSign SSL (Secure Socket Layer) and is constantly supervised, 24 hours a day and 7 days a week. Clients can also be assured of the fairness of the casino due to the random number generator it employs which has been verified by the National Laboratory of Forensic Science in Sweden and Technical Systems Testing in Canada. 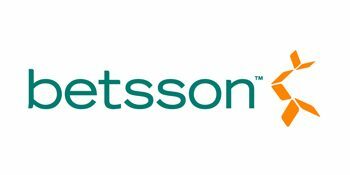 Betsson.com accepts players from the following countries: Albania, Andorra, Armenia, Austria, Azerbaijan, Belarus, Belgium, Bosnia and Herzegovina, Brazil, Bulgaria, Croatia, Cyprus, Czech Republic, Denmark, Estonia, Finland, Georgia, Germany, Greece, Hungary, Iceland, Ireland, Israel, Italy, Latvia, Liechtenstein, Lithuania, Luxembourg, Macedonia, Malta, Moldova, Monaco, Montenegro, Netherlands, Norway, Poland, Portugal, Romania, Russia, San Marino, Serbia, Slovakia, Slovenia, Sweden, Switzerland, Turkey, Ukraine and the United Kingdom. Betsson.com features a well-designed members’ area which provides the player with a wealth of information designed to enhance their experience on the website. Every game category, players’ favourites, ongoing promotions and deposit options are instantly available to the client. In spite of the quantity of information provided, the layout of the area ensures that it is presented in an orderly manner so that the client feels supported by the information provided rather than overwhelmed. Betsson.com provides 12 payments options: Skrill (Moneybookers), Visa, Neteller, MasterCard, Ukash, Bank transfer, Paysafecard, TicketSurf, ecoPayz, Click2Pay, Visa Entropay and Maestro. Al transactions are processed instantly with the exception of bank transfers which take between 1-3 banking days to be completed. Betsson.com payment methods align with SEPA (Single Euro Payments Area) ensuring the enhanced efficiency of payments which are processed within the EU. Betsson.com’s loyalty scheme is based on both VIP points and Betsson points. VIP points are earned by playing games using real money and affect the Betsson points allocated to a player. They also affect a player’s VIP level which could be Bronze, Silver or Gold. The amount of VIP points earned is the same no matter level of the player. However the amount of Betsson points issued depends on a player’s VIP level. Betsson points can be exchanged for cash and 100 Betsson points are equal to €1. Betsson.com permits a minimum single deposit of £10 for each of its twelve deposit methods and a maximum single deposit of £200 for Ukash, £650 per credit or debit card, £1 300 for Paysafecard, £10 000 for Skrill, MasterCard, Click2Pay, TicketSurf, ecoPayz, £37 500 for Neteller, and £1 000 000 for Bank transfer. Players making payments by Bank Draft / Personal Check are permitted to make a minimum single deposit of £50 and a maximum single deposit of £5000. The minimum withdrawal amount permitted is £15 for Bank transfer (only available after the first deposit) and Click2Pay, £20 for Bank transfer, Ukash Skrill, MasterCard, Paysafecard, TicketSurf, ecoPayz, while it is £25 for Neteller. The maximum withdrawal amount clients are allowed to make is £200 for Ukash, £2 500 per credit or debit card, £5000 for ecoPayz, £20 000 for Skrill, Click2Pay, TicketSurf, £37 500 for Neteller, and £1 000 000 for Bank transfer. Betsson.com possesses a skilled and knowledgeable customer service team which is available 24 hours a day and 7 days a week. Players can register any queries they have by live chat, email or by telephone. Each means of communication has a set response time during which the client may expect to be put in touch with a customer care professional. These are as follows: 30 seconds for live chat, 30 – 60 minutes for email and 0 – 2 minutes for telephone. Betsson.com enjoys a positive reputation among casino clients due to the exceptional gaming experience it provides. Its extensive games collection is also another key factor which has enabled it to continuously attract clients. Betsson.com’s main focus is the European market. The virtual casino caters to clients from the following countries: Albania, Andorra, Armenia, Austria, Azerbaijan, Belarus, Belgium, Bosnia and Herzegovina, Brazil, Bulgaria, Croatia, Cyprus, Czech Republic, Denmark, Estonia, Finland, Georgia, Germany, Greece, Hungary, Iceland, Ireland, Israel, Italy, Latvia, Liechtenstein, Lithuania, Luxembourg, Macedonia, Malta, Moldova, Monaco, Montenegro, Netherlands, Norway, Poland, Portugal, Romania, Russia, San Marino, Serbia, Slovakia, Slovenia, Sweden, Switzerland, Turkey, Ukraine and United Kingdom. The principal currencies used for processing transactions are Pounds, Dollars, Swedish Kroner, Norwegian Kroner, Danish Kroner, and Euros. Its website is fully multilingual and available in 18 languages including: Albanian, Dutch, English, French, Italian, and Turkish.